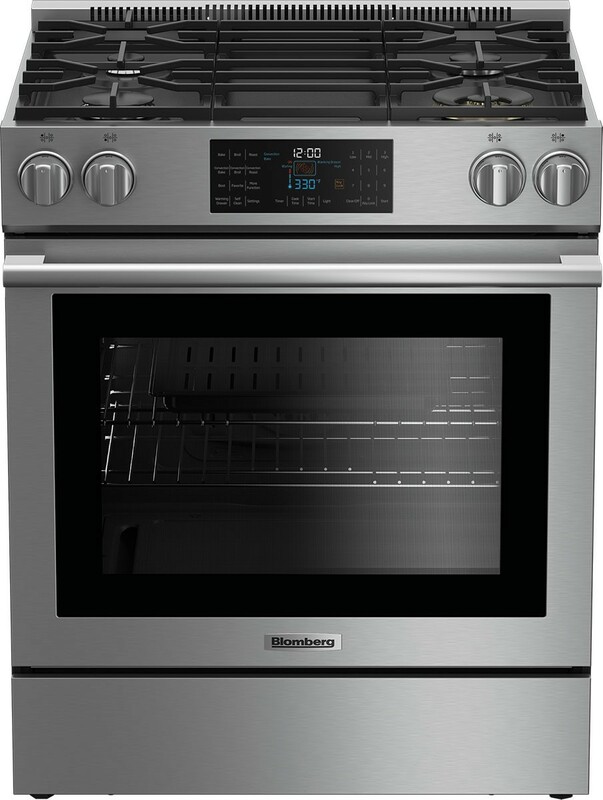 Ingenious Blomberg technology can actually help you refine your culinary skills! 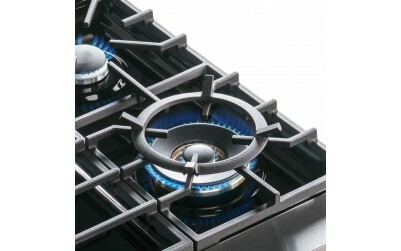 Flexible-power burners offer pre-set options for more precise cooking at different temperatures. 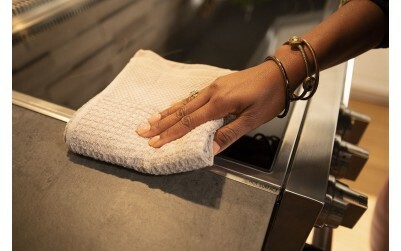 The 18,000 BTU setting delivers high heat to speed up preparation with a fast boil or sizzle. Switching to the 675 BTU setting automatically adjusts to gentler heat, ideal for simmering delicate sauces, melting chocolate, or cooking fluffy rice like an expert. 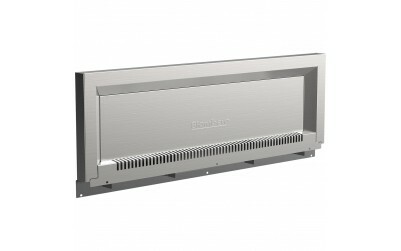 Blomberg caters to the executive chef inside every home cook by offering professional-level assistance in the kitchen. 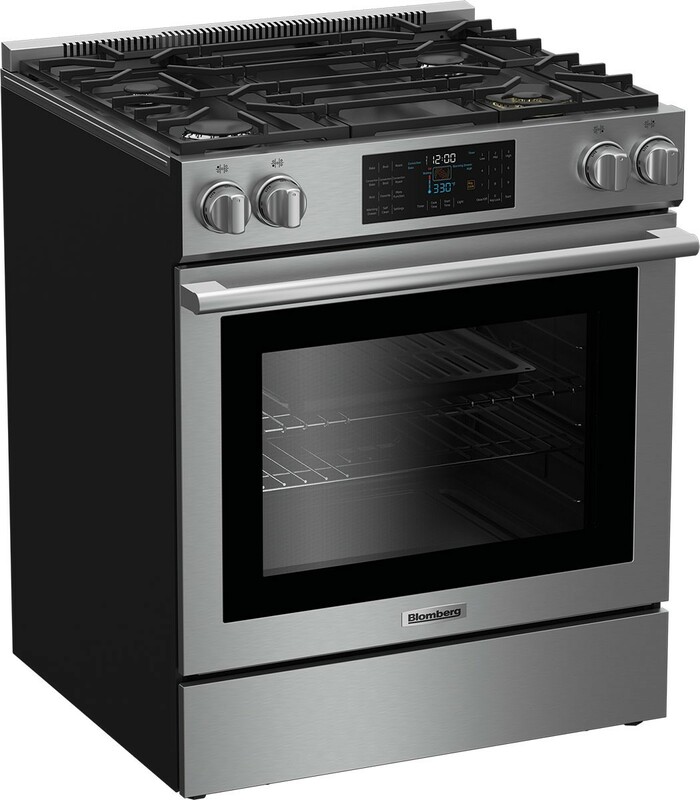 Simply select one of the special pre-set options from the display menu for proofing bread, baking amazing pizza, or roasting the prime turkey and the oven determines the correct cooking mode, temperature, and timing for you. For those observing the Sabbath, Blomberg ranges offer a special option. 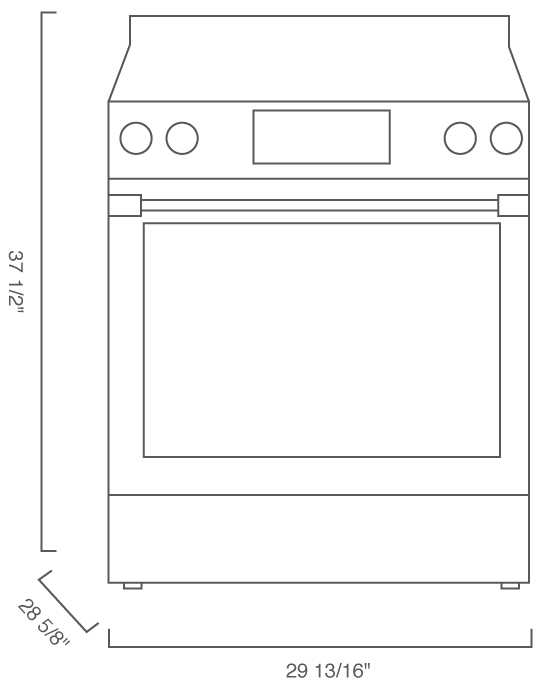 The oven features a keep-warm function that can be programmed to maintain 350°F temperature for up to 72 hours. Sabbath mode is simple and convenient to set using the oven knob or the display touch screen. True to our high-tech, high-touch design aesthetic, Blomberg ranges feature sophisticated yet simple to use LCD smart control systems. The prominent digital touch-screen is fully programmable, allowing you to pre-set start time and cooking duration or choose from a selection of built-in cooking programs for flawless results every time. In designing our ranges, no convenience was overlooked. We gave the bottom storage door an easy-glide roller mechanism so it slides in and out smoothly, plus a roomy interior that’s large enough to store oven racks when not in use, as well as sheet pans, baking sheets, trays, and more.